Tearing things apart at the beginning of a project kind of clears the slate for the home improvement project that is about to start. I like this part. Ripping into walls, floors and demolishing the outdated stuff has it’s own satisfaction within itself. This is usually the case. Some projects are just not fun to start. We are starting such a project, glued down hardwood floors. The idea of chiveling out wood for days is tidious work. 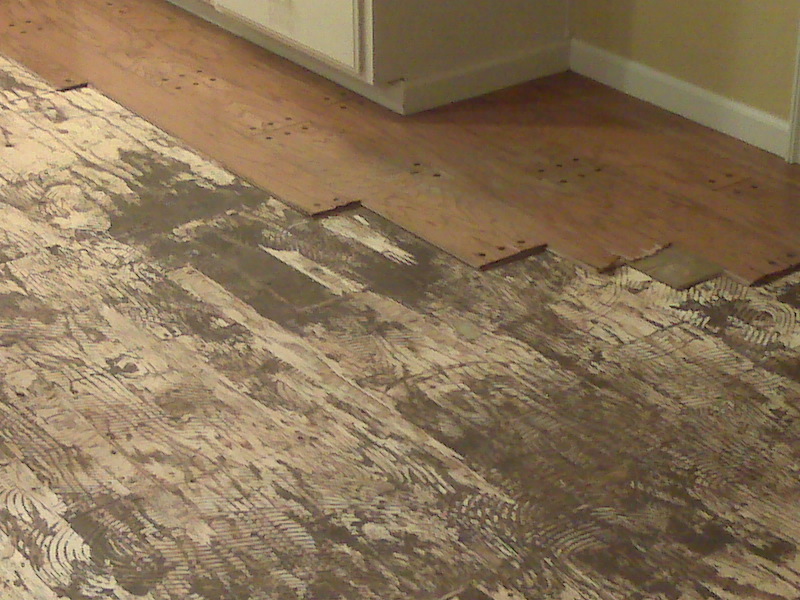 The plywood subfloor can lose chunks, making for an uneven surface. But it has to be done to get the new flooring in. Like many home improvement projects, if you want the results, you have to put in the effort. Even the scraping of glued wood on wood is worth the effort. So I will take the steps necessary for the home project to progress, however begrudgingly. Hour by hour until it is completed. In the end, I will look back and say “I’m glad we decided to do this” and probably not even remember how difficult it seems right now. Good Luck in all your home improment projects. This can be true. Installing wood in areas like kitchens, bathrooms, and exterior doorways must keep in mind that water damage is possible. Care should also be given when placing plants that will be watered.